Last night I tried MC First. The installation went smoothly but after that it was pretty disappointing. Namely, for the software announced for two years I really expected more. 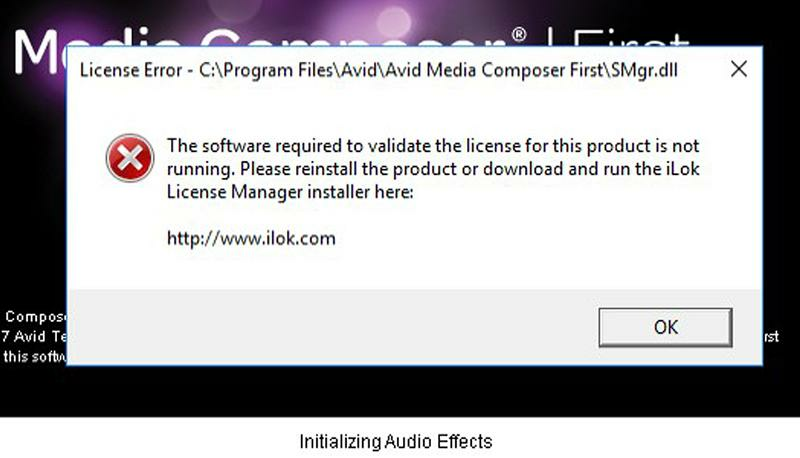 If AVID's intention is to attract small users or those who start with video editing - then this is a real debacle. First, does Avid expect every user to have a permanent Internet connection. I know it is not. Next, when you make a new project you have an option between three resolutions and say in 1080 the project is only progressive not interlace. Linked to if you want to import or link the clip with ac3 tone MC First immediately offer buy my license. No one expects the company to do it for free but if it's offered for free it's a bit stupid to offer a commercial solution right away. Furthermore. I wonder what this amateur camera NE RECORD in ac3 tone and. When a beginner wants what a record to edit, he will know how to transcode and in which program prepare a clip for editing. It's also an absolutely stupid situation: the clip is DNxHD 35 MBit, media creation also DNxHD 35 MBit but 85 Mbit export. That's really a joke. I have not time to try more last night. That is a first impression. I ask the administrators not to deny the interests of the company for no reason, This I did not write to express my disgust but to point out the omissions that I think Avid should not allow. My wish too is that as many people use MC, but I think this is a fairly misguided one. Thanks for the feedback.... I will make sure this is given to product management for review. Please note that this is the first release so things may change moving forward. I'm "playing" with First at this very moment and initally it looks "interesting"
I can't see the reason for the 5 bin limit but Its no big issue. A route upto Regular Media Composer is a must have some how soon. I can see post houses having clinets bring in First Projects to move onto Full edits and currently its a dead end. Its almost worse that MC First is so like MC but its not in terms of moving up. Also the cloud collabaration looked to be a key element but its not there yet. Thanks for accepting the critique correctly. I realize that is the first release but it is basic. I did not write this for myself but for beginners who would buy MC at some time and have learned so much in MC at that time. In this situation - very difficult. Now I have tried MC First again. In PAL SD projest option for expost is only QT H264 ????? No DV codec for export ????? It is also not impossible to export between the in / out whole sequence only ????? The Project formats are SD 720 and 1080 all P only. And that makes sense because the publish options need to be Progressive! I always teach not to export between in and out. Mark an I O and make a sub sequence (that still works in first) then exprt that. A neater way as yoiu have a copy seq of what you exported. Looking at the PC qualifications, I really think one or two GeForce cards, like the 1050 or 1060 should be "qualified". I really do not think too many First users will be running Quadro. No need to restate the "not qualified but should work" mantra. I haven't had a chance to really dig into it, but my first impressions are pretty good. I've been on Media Composer for over 20 years and this is a very nice and slim solution for a lot of people's needs. Just testing. As another poster has said, we can't link to media needing a Dolby AC3 licence (is this a Mac issue only?). This is an absolute deal killer for me as our first year students use Pana AC160 cameras that use this format. I don't shoot much but I can't link to footage from my little Sony handycam either. MC First SHOULD be a great way for my students to experiment and practise without having to go for the full application. Since this licence appears to be free (and Adobe and Apple have the same issue), JUST INSTALL IT and let us continue! I can understand that you must remove editing features to encourage users to upgrade but this one thing will stop many in their tracks. FIX IT NOW or you will lose the momentum of this initial release. The daft thing is that you have left in powerful features like Source Settings, Timewarp and the 3D effect but who will get to see these if they cannot link to their footage? Also, the Mac installer still requires us to turn off 'ignore ownership' or face a a very long delay while we install. This, too will deter a casual user who may well give up and use a pirated copy of FCPX, instead. Come on Avid, this is your big chance to widen the pool of users. Do it right! With the footage I can use, it looks very good so far. Oh, and I can't save titles - the same issue I have been hassling support about for months. I will try a different machine. I imagine the issue is that Dolby aren't allowing free dsitribution of AC3 decoding to Avid. With a chargable product you could choose to absorb that cost in the product price but thats less easy for a free product! If the license is free it maybe free on condition you register so they have your details. Re your save titles. Was that never resolved? For me it turned out to be the limited graphics of the older iMacs we had. Never resolved just sold them off and bought newer ones. Fixed. Yes, you could be right about Dolby but it needs to be resolved. I confess I was testing this morning on an old, unsupported Mac although the OS was qualified. Tried later on a better specified Mac and TT did work after a bit of fiddling. OK - looking further with MC First, I am impressed. I think it would be a great intro for those dipping their toes in the water ... working very well so far (ignore my comments about the Title Tool - they work fine on a qualified machine so far). For my students, we'll have to transcode AVCHD on the full MC and let them take the media away to get around this AC3 licence issue. More comments later. Please note that this is the first release so things may change moving forward. Why not simplify the installation of this program? For example, Avid Free DV registration, downloading and installation was very simple. It was not necessary to deal with additional programs, like Application Manager or iLok License Manager. Currently I can't run MCF without open it from Application Manager, and instead using iLok License Manager need manually start PaceLicenseDServices from Windows 10 Services. I'm an Avid enthusiast since 1993 and I'm looking forward to improvements in the next version to attract and train new users. Still impressed. With the exception of the lack of AC3 audio support, a very good introduction to Media Composer. Sorry about my earlier comments on the lack of AC3 support - I appreciate that there is a licensing issue here. Lightworks users have issues. Resolve will not play AC3 at all as far as I can tell. Sony Catalyst Browse will play AC3 from a Sony camera but not open my Panasonic files at all (perhaps not surprisingly). FCPX works with this format (no alert or ‘OK’ dialogue, IIRC). Premiere will prompt the user to accept the Dolby licence the first time such a file is encountered. If clips are dragged to a bin, frame and script view work correctly. And there is something screwy about audio playback. Take a mono clip and pan it full left or right. Hit play with the playhead within the clip and it plays out of both channels for a second before making up its mind and following the pan setting. Back up a couple of seconds before the start of the clip and it plays correctly - a bit like the old Springbuffer of fond memory. Also, if exporting both video and audio (DNxHD or H264), any mono clips play centered, regardless of how the pan is set in the Timeline. Export audio only, and the pan settings are honoured. Weird. And why does First make four passes at exporting an H264? Question for the programmers: How many files in the Attic? I think the full MC default of 1000 files per project is overkill and I think that many First users will forget to clear out the Attic … and no way of changing the setting. Great read.... I sent this along to Kate, Dace C. and Matt in Product.